QNAP has this week launched a couple of new storage devices to its range of existing Network Attached Storage (NAS)in the form of the new Turbo NAS TS-x21 and TS-x20 series for home users and home offices. The two new NAS storage solutions also come supplied with the latest operating system QTS 4.0, that has been created to integrate multi-window operations into the web-based user interface. “The TS-x21 and TS-x20 series feature the brand-new Turbo NAS operating system QTS 4.0. The new QTS 4.0 integrates multi-window operations into the web-based user interface, adds cross-device file synchronization, several smart mobile apps, and more. – TS-x21 series – tower unit, available in 4, 2, 1-bay, 2.0 GHz CPU, 1GB DDR3 RAM, SATA HDD/ SSD, hard drives hot-swappable (TS-421, TS-221), 2X USB 3.0, 2X Gigabit LAN ports (TS-421), 1X Gigabit LAN port (TS-221, TS-121), LCM panel (TS-421). – TS-x20 series – tower unit, available in 4, 2, 1-bay, 1.6 GHz CPU, 512 MB DDR3 RAM, SATA HDD/ SSD, hard drives hot-swappable (TS-420, TS-220), 2X USB 3.0, 2X Gigabit LAN ports (TS-420), 1X Gigabit LAN port (TS-220, TS-120). 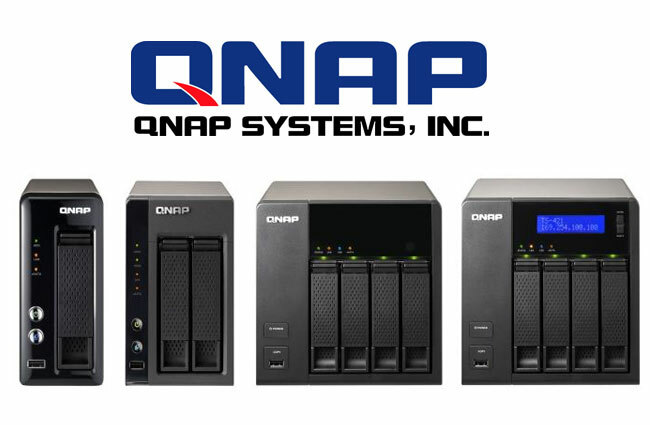 For more information on the new NAS Storage jump over to the QNAP website for details.